MEGA Watt Power Coffs Harbour is part of the Si Clean Energy group which has a long and successful history of technical innovation in the solar power industry. Si Clean Energy, operated by managing director Peter Bulanyi installed its first solar panel system in Dorrigo in 1989 and now continues in the large-scale solar farm sector as a contractor working on solar farm projects across Australia. Mega Watt Power was formed for local solar installations on the Coffs Coast and Mr Bulanyi's youngest son Ben Bulanyi is the electrician and installation manager. Mr Bulanyi and his son Ben lead a very experienced team of electricians and installers who are dedicated to providing high-performance solar power systems. 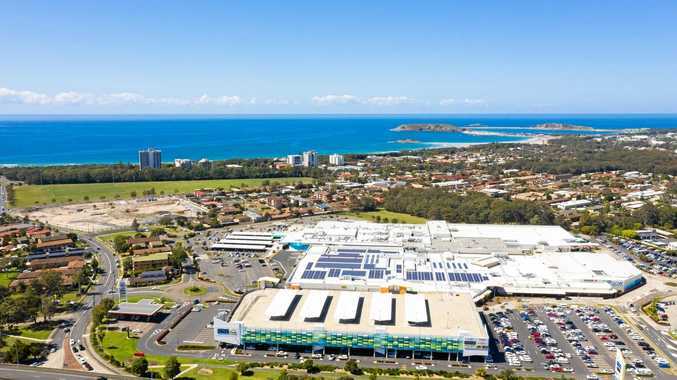 He said Mega Watt Power recently installed Coffs Harbour's largest rooftop solar system on the Park Beach Plaza. "The 554kW of power generates an annual total of 850,000kWh, the equivalent consumption of around 116 NSW homes," Mr Bulanyi said. "We are very proud of this large-scale project and the fact that we have installed more than 3000 residential solar systems since 1989 in and around the mid-north coast and more than 2MW of commercial systems for businesses, both small and large. "We are not just passionate about solar, we are also very passionate about helping our customers to understand and reduce their energy consumption to suit their individual needs." Mega Watt Power runs a well-equipped service centre in which repairs are carried out to inverters sent in from throughout Australia and the Pacific. The company also manufactures a range of small off-grid inverters and a comprehensive energy management system called AllSolus that is installed with solar systems for its commercial customers. The AllSolus system provides an internet display that not only includes solar production but also the energy consumed by the customer's loads.